This article appeared originally on the website of The Hill on February 24. I first went to Vietnam in 1997, three decades after I graduated from college, volunteered for the Peace Corps and was assigned to teach high school in a remote village in Nepal. One day the students asked me why we Americans were destroying the forests in Vietnam. I couldn’t answer them. But when I arrived in Vietnam as the head of the Ford Foundation office there, I found their assertion to be distressingly true. Moreover, the herbicides, collectively called Agent Orange, had been contaminated with dioxin, a chemical that is extremely toxic to humans in small amounts. Severe disabilities associated with Agent Orange/dioxin were occurring in generation after generation in Vietnamese families. Until recent years, though, officials in both the Vietnamese and U.S. governments were unable to talk about Agent Orange in a way the other side saw as constructive. They were deadlocked over what to do about it. For NGOs there, this terrible war legacy was the third rail in the subway—you touch it, you’re dead. Agent Orange continues to impact the Vietnamese today. The U.S. and Vietnam are now cooperating to address this legacy of the Vietnam War. We are halfway done. Sometimes such sensitive topics are ideal places for philanthropy to try to help. Over time I was able to use resources to get a wider array of people in the two governments and the NGO community working on solutions that focused on the needs, not on the causes. At the same time, Vietnam was quietly allocating more and more resources to help persons they regarded as victims of Agent Orange and, following the Agent Orange Act in 1991, the United States began making payments to disabled U.S. veterans who had been exposed to dioxin in Vietnam. By 2003, a Ford Foundation-funded study had identified three former U.S. air bases, at Phu Cat, Danang and Bien Hoa, as the places where residual dioxin was most concentrated and likely to cause continuing harm. The finding that dioxin was a point-source problem that could be addressed with existing technology provided the key opening when President George W. Bush came to Vietnam for APEC (Asia-Pacific Economic Cooperation) in 2006. He and Vietnamese President Nguyen Minh Triet agreed that something should be done—in partnership. Sen. Patrick Leahy, a Vermont Democrat, pushed appropriations through Congress to support the clean-up, as he has done each year since then, insisting that a portion be used to help Agent Orange victims. 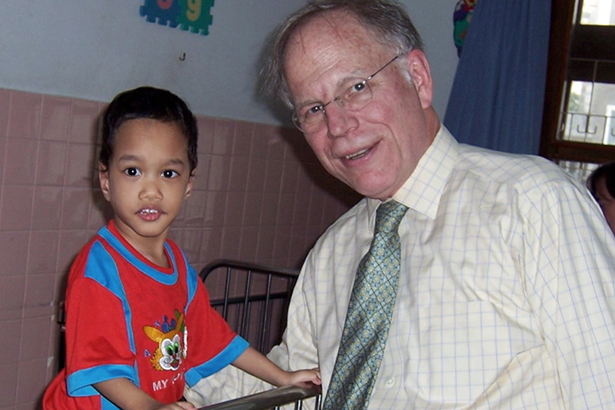 In 2009, another Ford-funded study found that Agent Orange victims were a fraction of Vietnam’s disabled population and their disabilities severely limited their mobility and mental functioning. 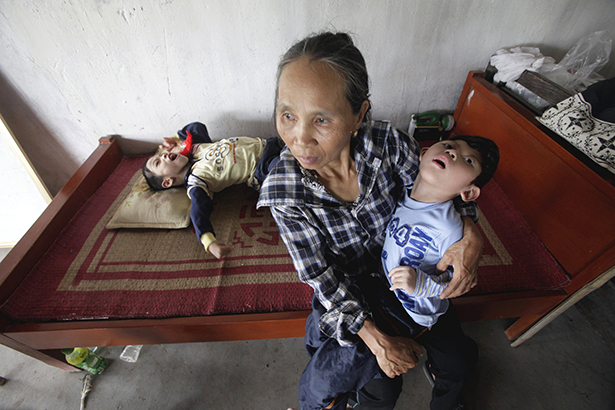 Since 2007, Congress has appropriated $200 million to address Agent Orange in Vietnam—to clean up the dioxin at the Danang Airport and to assist Vietnamese with disabilities. The Danang Airport is now free of dioxin and the dioxin residues at Phu Cat, with the United Nations Development Programme (UNDP) assistance, have been placed in a secure landfill. Most important, the two governments now have a practical partnership. The extreme sensitivity of this subject is a thing of the past. Much remains to be done. Phu Cat and Danang are estimated to hold only 15 percent of the soil requiring remediation. The remaining 85 percent—some 600,000 cubic yards—is at the Bien Hoa air base, 20 miles upstream of Ho Chi Minh City’s 8.5 million people. USAID estimates that remediation there will cost at least $395 million and take a decade. And several hundred thousand young Vietnamese still await help in coping with disabilities linked to dioxin exposure of a parent or grandparent (or even a great-grandparent). The tragic legacy of Agent Orange could end if the two countries’ leaders chose to do it. Constructive engagement would require Vietnam to say that cooperatively addressing this legacy is among its highest priorities in the bilateral relationship and spell out its goals. The United States would need to outline the size and scope of assistance it can provide. At the same time, annual congressional appropriations must continue. President Trump should include it in his annual budget requests for USAID and the Department of Defense. Clean-up assistance should focus on Bien Hoa. Disability assistance should focus on the most heavily sprayed areas and the most severely affected people, aiming for permanent improvements both in their lives and the capacities of local governments and NGOs to provide services. The state department and USAID should also encourage other countries and companies doing business in Vietnam to support health and disability projects. Such a diplomatic and financial initiative would be in the interests of both countries. It would respond to an acute humanitarian need, and it would strengthen relations between former enemies in a region of increasing strategic importance to the United States. A war legacy that for decades was a source of resentment and recrimination can be a compelling example of how we build a better future. Charles R. Bailey has a doctorate from Cornell University in natural resource economics. He was the Ford Foundation Representative in Vietnam from 1997 to 2007 and then led programs on Agent Orange at the Ford Foundation and the Aspen Institute. Bailey is the co-author of the book, From Enemies to Partners—Vietnam, the U.S. and Agent Orange.